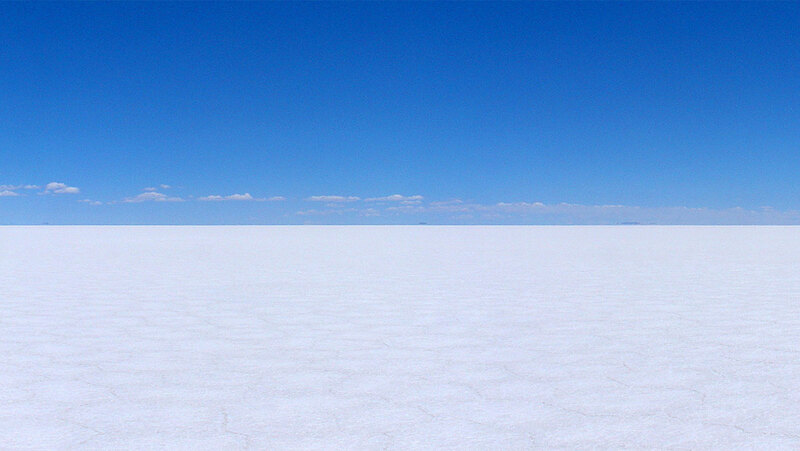 Featured above: Salar de Uyuni, the flattest place on earth. It happens to be loaded with lithium. Photo by Martin St-Amant – Wikipedia – CC-BY-SA-3.0. Splitting Hairs: If you remember from last week’s episode, splitting a hydrogen nucleus is usually like dividing by zero: You can talk about it, but it doesn’t make much sense. A hydrogen nucleus typically consists of only a single proton, and that can’t really be “split” in the sense that we usually mean when talking about this kind of thing. Sometimes a hydrogen atom includes one or more neutrons; these variants are known as isotopes. We’ll cover them more in-depth later, most likely in episode 6, carbon. Metal As Hel(ium): Incidentally, although hydrogen is often included as part of group 1, it is not an alkali metal. But it may exist in metallic form! Theoretically, it would take extremely high pressures to create metallic hydrogen, and it just might exist in Jupiter’s core. In January 2017, scientists made waves when they claimed they had created a sample here on earth… but as time passed, this claim has been met with increasing skepticism. Must Be This Tall To Ride: Lithium is one of a small number of elements that can’t be created by stellar fusion. Hydrogen combines into helium, then helium atoms fuse together to create carbon and oxygen (usually). Lithium, beryllium, and boron get skipped right over — and if they do somehow find themselves inside a star, they get shredded into helium atoms. Saltswater: Lithium, sodium, and potassium all readily form salts with chlorine — so it should come as no surprise that sodium and potassium sit directly underneath lithium on the periodic table. Lunar Legend: I read from many, many sources that when Neil Armstrong landed on the moon, he gazed at Earth and took particular note of Salar de Uyuni, mistaking it for a glacier. I’m pretty sure this is nothing more than legend, probably dreamed up by a creative Bolivian tour guide. Earthrise, as seen from Apollo 8 on Christmas Eve, 1968. Click for big, and just try to find Salar de Uyuni in this photograph, I double dare you. First of all, nobody ever referenced where this story originated from. It was always, “Rumor has it that…” or, “Supposedly…” which is usually a red flag. I eventually went to the most primary source I could find: NASA’s transcript of air-to-ground voice transmissions for the Apollo 11 mission. Armstrong talks about a lot of stuff, and all the hits are in there, like “The Eagle has landed,” and “That’s one small step for (a) man…” and plenty of chatter about South America, but I could find absolutely zilch that referenced Salar de Uyuni. And I think it would be nigh impossible to spot the salt flat from the moon anyway, despite its size. NASA put together an incredible visualization of what Earth would ideally look like from the surface of the moon, and even then, you know what would make it difficult to spot a specific patch of bright whiteness on Earth? Clouds. Lots of clouds. Salar de Uyuni would be covered by clouds or surrounded by clouds or just look like a dang cloud. This is T. R. Appleton, reminding you to check your sources. When Imperialism Becomes Awkward: Along with all the other natural resources native to Bolivia, one of their most profitable crops is the coca leaf. Indigenous Bolivians have been harvesting coca for thousands of years, using it in food, as a tea, and as something to chew on for a mild stimulating effect, a lot like coffee. It can also be refined into pure cocaine. The United States Drug Enforcement Agency, in particular, has historically been very concerned with the Bolivian coca industry, and this history further reinforces the Bolivian skepticism of outside interests. This distrust manifests in ways that are every bit as personal as they are political. In 1988, Bolivian cocaleros were protesting the government’s use of herbicide to destroy their crops. To break up the protest, agents from the United States’ DEA and Bolivia’s Rural Area Mobile Patrol Unit (UMOPAR) murdered eleven people and injured at least 100 more. Evo Morales was a leader of the cocaleros union and gave a speech commemorating the massacre in 1989, its one-year anniversary. The next day, UMOPAR agents beat him and left him for dead on the side of a mountain. Morales survived the attack, and in January 2006, he was inaugurated President of Bolivia. This is the man whom foreign companies must petition, requesting limitless access to the world’s largest lithium reserves. You can see why he might not be so keen on the prospect. I’m Sure It’s All Above Board: In recent years, there’s been renewed interest in another country that’s unbelievably rich with minerals, including lithium: Afghanistan. The presence of precious materials has been known for decades; the motivation behind this resurgent interest has been left for the reader to decide. Finding Finding Sanity: There appears to be a thorough and entertaining telling of John Cade’s life in the book Finding Sanity: John Cade, Lithium, And The Taming Of Bipolar Disorder, by Greg de Moore and Anne Westmore. Unfortunately, I couldn’t get my hands on it in time for this episode, but de Moore and Westmore’s research did inform some of this episode. It Was Inside Us All Along: Lithium has actually played a role in mental wellness for thousands of years — we just weren’t really aware of it. For one thing, no one knew what lithium was until the 19th century. But for a long time, people who live near mineral springs have sworn that their waters have a calming effect on the mind and body. In the second century CE, a physician named Soranus of Ephesus treated people with drinking water that was naturally high in alkaline salts. More recently, actual scientific studies have discovered that locations with abnormally high concentrations of lithium in their drinking water also have a correspondingly low suicide rate. The levels of lithium tend to be much lower than the concentrated dosages prescribed in psychiatry, and these waters don’t carry a risk of lithium toxicity. For these reasons, some doctors propose that a small amount of lithium should be seen as an essential mineral. Some people — often teenagers and others trying to be edgy — take this quote out of context to mean something like, “Religion is just a delusion, maaan!” This is not remotely close to what Marx was getting at. It’s pretty clear that he’s speaking more of the analgesic properties of opium rather than any hallucinogenic effects (which opium does not produce). Religion relieves people’s pain. It is true that Marx was an atheist, but that doesn’t mean he was a jerk. But this was the 1990s, not the 1840s, so “the opium of the people” needed an update. The song’s title was Lithium. Leave This To The Professional Amateurs: Finally, I promised a video of someone disassembling a lithium battery to get at the prize inside. Please consider this more of a vicarious experience than a tutorial. The first atom split by scientists was not uranium, nor plutonium, and definitely not hydrogen. And for once, the process didn’t involve catastrophic explosions. The whole thing happened in a modest little chemistry lab at Cambridge University in 1932. When movies and news stories mention particle accelerators, they’re usually referencing something like the Large Hadron Collider, an enormous apparatus that is, quite literally, the biggest, most expensive machine ever built, a seventeen-mile nuclear cannon that runs beneath the border of Switzerland and France. But particle accelerators come in all shapes and sizes. Depending on your age, you might have spent many hours staring at a particle accelerator: A beam of electrons shot through an airless glass tube to energize phosphorescent materials — this was how television sets and computer monitors worked until flatscreens became commonplace. Lithium might not get the same respect for its role in early nuclear studies, but it’s found plenty of other reasons to steal the spotlight since then. I’m T. R. Appleton, and you’re listening to The Episodic Table of Elements. The first two elements we investigated were both gases that can float off into outer space. Today, we’ll stay on the ground as we discuss the periodic table’s first metal, lithium. Most of the periodic table consists of metals, and some of them are pretty familiar to you. Iron, aluminum, silver, lead… Those are all varying degrees of heavy, shiny, sturdy, and sort of greyish. Sometimes you’ll come across one that’s a different color, like gold or copper, and that’s a little exciting. But for the most part, unless you’re someone who actually works with metals, they can all seem pretty similar to each other. So if you’re not already acquainted, lithium is a metal that can take you by surprise. For one thing, you can easily cut it into pieces with a kitchen knife. Like the other elements near the top of the periodic table, it’s very light: about the same density as pinewood, and like pinewood, it easily floats. But you might not want to test that out yourself, because immediately upon contact with water, lithium will sizzle across the surface, burst into flames, and possibly even explode. It can even cause skin to blister and burn just by touching it. Compared to most metals, these are pretty unusual properties. But lithium is the first member of the Alkali Metals, and its cohorts all act in similar ways. In fact, the other elements in Group 1 only get more dangerous from here. Once again, we can blame this behavior on electrons. As a general rule, if an atom’s outermost electron shell isn’t filled exactly to capacity, then it wants to either gain or lose electrons until it has an outermost shell with exactly as many electrons as it has space for. This is why hydrogen is so reactive, with its shell half-full, and why helium is completely inert, with its shell containing as many electrons as it can. The electrons in an atom’s outermost shell are called its Valence Electrons, and they dictate how reactive an element is, no matter how many inner shells are full. In its pure state, lithium has three electrons. Its innermost shell can only accept two of these, so it takes those and is then closed. With nowhere else to go, the third electron pops into a new shell a little farther out, occupying it all by itself. This is lithium’s one valence electron, and lithium wants to dump it like a bad boyfriend. When lithium meets water and goes snap-crackle-pop, that’s exactly what’s happening. In fact, all the alkali metals have one valence electron, and that’s why they react so similarly, and so violently, with water — or any other compounds in the vicinity. For this reason, lithium is basically never found in a pure state. Often it dissolves in seawater to form lithium chloride, a kind of chemical salt. It’s often present alongside many other dissolved compounds, like sodium chloride — better known as table salt. Sometimes, a saltwater lake will become cut off from its water supply. Plate tectonics might alter the landscape, or weather patterns might change over time, but for whatever reason, the water in the lake starts evaporating faster than it can be replenished. But while evaporation carries the water into the clouds, the minerals that were dissolved in the water are too heavy to be lifted into the air. The lake disappears, but the salt remains. This landscape is called a salt flat or salar, and can stretch for hundreds of miles in any direction. The largest in the world is Salar de Uyuni, nestled among the high peaks of the Andes in Bolivia. A blindingly reflective vista, it can be difficult to tell where the clouds end and the ground begins. These qualities make the salar a surreal place to behold, but there’s a less visible feature that’s really caught people’s attention in recent years: Salar de Uyuni could contain as much as two thirds of the world’s supply of lithium. For a world that’s ravenous for batteries, lithium appears highly appetizing. The Bolivian government is keenly aware of all this, and yet they’ve been slow and cautious with their approach to mining and selling off their lithium stores. For thirty years, the country has rejected all propositions from outside corporations. See, this isn’t the first time that Bolivia has been sitting on a gold mine. Or, to be technically accurate, a silver mine. In southern Bolivia, the town of Potosi sits at the base of Cerro Rico. Spanish colonists gave the land this name that means “Rich Hill” when they arrived in the 16th century, because they quickly discovered that it contained an incredible amount of silver, as well as tin and zinc. In fact, Cerro Rico is the single richest silver mine the world has ever known.11 The Spanish forced the indigenous population to do the dangerous work of mining, and so many were killed by toxic gases, cave-ins, and exhaustion that the Spanish enslaved 30,000 Africans, took them from their homes and families, and forced them to continue the bloody work. All the while, the Spanish sent their ill-gotten gains back to Europe. In the 16th century, well over half the silver mined worldwide came directly from Cerro Rico, and Potosi was much more than your average boomtown.12By 1650, its population approached 200,000, easily making it the largest city in the New World,13 and even rivaling the size of London14 and other Old World cities. Spain grew drunk on pieces of eight, bankrolling wars against the British, the Dutch, and the French. Nearly half of Spanish silver wound up in China, traded for silk, porcelain, and tea.15 The world’s largest empires and a truly global economy were fueled by the silver pouring forth from Cerro Rico. Like most binges, this was in no way sustainable. The conquistadors kept feeding bodies to the mountain, but the richest ores were spent. Soon, the inferior veins ran dry as well. For the miners, as they dug ever deeper for dwindling amounts of silver, the job only became more dangerous. It was an object lesson in diminishing returns. This is a familiar tale for Bolivians. The country is uncommonly rich in natural resources, from saltpeter and guano to petroleum and natural gas. At every turn, outside powers have sought to enrich themselves at Bolivia’s expense. In 1990, the Lithium Corporation of America offered to set up a mining operation in Salar de Uyuni. According to this proposal, the corporation could extract as much lithium as they could find, and would keep 92% of the profits. Given Bolivia’s national history, it’s not surprising that this and all other offers have been rejected. Many have claimed that Bolivia is “the Saudi Arabia of the 21st century.” But Bolivia doesn’t want to be rich in raw resources like Saudi Arabia — they want to become a fully industrialized nation. So for now, the the vast lithium reserves of Salar de Uyuni are being harvested slowly, methodically, without the frenzy of a gold rush.18 If Bolivia can keep world powers from encroaching on its resources, Bolivia might provide portable power for the rest of the world. For an element that’s so chemically volatile, and lies at the heart of such economic tensions, lithium surprisingly provides a potent stabilizing effect for people whose moods tend toward extremes. For this discovery, we can thank a little-known Australian doctor. Born in 1912, John Cade had a childhood that was unconventional even by contemporary standards. For the three-and-a-half years that he was interred at Changi, Cade was the only prisoner with psychiatric credentials. He took it upon himself to establish a mental health ward in the POW camp, and while caring for his fellow prisoners and assisting in autopsies, Cade saw a connection between a person’s physiological and mental well-being. This was in contrast to popularly held opinions in early psychiatry, when mental illness was typically attributed to a traumatic childhood, poor character, or other, similarly ephemeral causes. Here, Cade saw clearly that physical afflictions, like a blood clot, could directly cause mental illness. When Changi was liberated in 194521 and Cade returned home, this was an idea he brought with him. Everyone who met Bill Brand considered him a hopeless case. Brand became a resident at Bundoora Mental Hospital for several years, where he lived in a kind of limbo. No one thought he could be truly cured, but with medical care, at least he couldn’t cause too much damage. This was who John Cade chose to receive the world’s first lithium prescription, and in the doctor’s own words, “His response was highly gratifying.”28 It took a few weeks for the lithium to take effect, but soon, Brand’s behavior took a turn. He calmed down, no longer ranting and raving, nor compulsively digging through trash cans. He could even take trips out in public and conduct himself accordingly. It was the kind of recovery that’s rarely seen in the history of mental health. For thirty years, Bill Brand had been the most hopeless case in the asylum. On July 9, 1948, he walked out the front door with a clean bill of health. Unfortunately, Brand did not live happily ever after. He put himself together pretty well, and lived a comfortable life for several months. He even got his old job back. But rather than seeing this as good reason to continue his lithium treatment, he saw this as evidence that he was cured, and no longer needed medicine. Brand stopped taking lithium, and like clockwork, his manic episodes returned. Within six weeks of going off meds, Brand was back in the Bundoora asylum. Cade resumed Brand’s lithium regimen, but their relationship was changed now, more adversarial. Brand disliked the side effects of lithium; Cade tried to persuade him that it was worth taking anyway. He couldn’t trust that Brand was taking lithium as prescribed. In desperation, Cade increased the dosage, knowing that he could heal the man if only he would actually take his medicine. The situation at Bundoora had grown too erratic. Between fluctuations in Cade’s prescribed dosages and Brand’s unreliable adherence to his prescription, the patient had ingested a toxic amount of medicine. Cade stopped administering lithium altogether, but too late. Bill Brand died of lithium poisoning on May 23, 1950. An investigation absolved Cade of any blame for Brand’s death, and this was an uncontroversial finding. Cade, however, was wracked with guilt, and stopped further research work with lithium. But his work had found its audience, and to great effect. Lithium is not a cure, and doesn’t work for every patient, but it remains the gold standard of treatment for bipolar disorder in 2018. Early psychiatry was dominated by men with enormous egos who sometimes performed monstrous experiments on their patients. In stark contrast to this, John Cade possessed an uncommon degree of compassion and humility. After retiring from medicine, Cade wrote a book on the history of psychiatry that included a chapter on lithium and its miraculous effects. At no point did he mention that he was the man who discovered those properties. With helium, we saw that adding an element to our collection can be as simple as buying it from the store. Hydrogen was a very different experience, requiring some household objects and a little elbow grease. To get our hands on lithium, we’ll take a little of column A, a little of column B. Batteries containing a good amount of pure lithium are usually labeled as such, and are easy to find. Double-A batteries are your best bet here, since the kind that power laptops and cell phones tend to be pretty expensive. You could actually stop right there, and that would be perfectly legitimate. Inside that battery is a thin sheet of lithium metal, so go ahead: Put that freshly-purchased battery in your display case of the elements and call it a day. This might be an unsatisfying approach for the discerning collector, who would like to display a raw sample of the universe’s lightest metal. Here I must advise caution, because cracking open a battery is actually fairly dangerous. Mistakes won’t just result in an unusable sample. There’s no shortage of news stories on battery explosions, usually in cheaply made consumer electronics like e-cigarettes, hover boards, and cell phones. That’s the kind of thing we’re dealing with. So this podcaster’s recommendation would be to leave that battery on the shelf, then head to episodic table dot com slash lithium, where you can safely watch a video of some other fool retrieving pure lithium from a rechargeable battery. At any rate, if you do somehow find yourself with a sample of the raw stuff on your hands, you’re going to want to preserve it quickly. Elemental lithium is one of a select few materials that will actually react with nitrogen in the surrounding air — causing it to tarnish quickly. You can prevent this by storing it in a container that has no air. A vial of mineral oil will do the trick — but being so light, lithium has an annoying habit of floating on the surface, leaving a tiny bit exposed and vulnerable. Coating the metal in petroleum jelly might be the better choice. If you are not a purist, and you happen to have a prescription for lithium, that actually makes a pretty convenient and shelf-stable way to display the element. The lithium is technically bonded to some other elements — usually Carbon, Hydrogen, and Oxygen — but it’s so close to the pure thing that lithium is one of the few drugs that legally could not be patented. That’s a little ironic, because after lithium was discovered and isolated in the 19th century, entrepreneurs and hucksters were desperate to find a way to profit off the new material. Some of these turned out to be great ideas. Lithium grease, for instance, is an unparalleled lubricant in high-temperature, metal-on-metal scenarios, like in airplane engines and other heavy machinery. Other ideas didn’t quite stick: Bib-Label Lithiated Lemon-Lime Soda is a terrible name for a beverage and also kind of a worthless gimmick. 7-Up hasn’t included lithium as an ingredient since 1948, when the FDA outlawed its use as an ingredient in sodas.32 But for 19 years, it wasn’t just in the drink, it was the main selling point that differentiated it from all the other sodas out there. Apparently that was enough to keep the 7-Up corporation afloat through some difficult times. Two weeks after it debuted in 1929, the stock market crashed — and despite its mood-elevating properties, the lithium in 7-Up couldn’t do a thing to stop The Great Depression. Thanks for listening to the Episodic Table of Elements. Next time, we’ll avoid the sweet taste of beryllium at all costs. This has been a long episode, but it could easily have been twice as long. Some of the topics that didn’t make the cut include Bolivia’s most controversial natural resource, the connection between Karl Marx and Kurt Cobain, and what Neil Armstrong didn’t see from the moon. Music is by Kai Engel. This is T. R. Appleton, reminding you to try your salt flats with a little fruit and cheese. Introduction, A Contribution To The Critique Of Hegel’s Philosophy Of Right. Karl Marx, 1843. Wired, Zounds! We’ve Split The Atomic Nucleus. Randy Alfred, April 13, 2008. Cern Courier, Cockcroft’s Subatomic Legacy: Splitting The Atom. December 2007. Originally from cern.ch, backed up on this site for archival purposes. Nature, Artificial Production Of Fast Protons and Disintegration Of Lithium By Swift Protons. J. D. Cockcroft and E. T. S. Walton. Award Ceremony Speech for the Nobel Prize in Physics. Professor I. Waller, 1951. Conde Nast Traveler, This Remote Salt Flat Is Also The Flattest Place On Earth. Ken Jennings, July 28, 2014. Nature, The Salt Flat With Curious Curves. Eric Hand, November 30, 2007. SciShow, Why Are Smartphone Batteries Combusting? September 23, 2016 on YouTube. The Guardian, Electric Car Boom Fuels Interest In Bolivia’s Fragile Salt Flats. Max Opray, January 17, 2017. Financial Times, Electric Car Demand Sparks Lithium Supply Fears. Henry Sanderson, June 8, 2017. The Oxford Research Encyclopedia of Latin American History, Potosi Mines. Journal of World History, Vol. 6, No. 2. Born With A “Silver Spoon”: The Origin Of World Trade In 1571. Dennis O. Flynn and Arturo Giráldez, 1995. Originally from hawaii.edu, backed up on this site for archival purposes. Encyclopedia Britannica, Potosi. Last updated September 19 2013. Local Histories, A History Of English Population. Tim Lambert. Asian Topics In World History, The Silver Trade, Part 1. Ken Pomeranz and Bin Wong. The Guardian, Bolivia’s Cerro Rico, ‘The Mountain That Eats Men,’ Could Sink Whole City. Sara Shahriari, January 10, 2014. The New Yorker, Lithium Dreams. Lawrence Wright, March 22, 2010. Deutsche Welle, Bollivia’s Evo Morales Plans Lithium Mining Offensive. Srinivas Mazumdaru, July 17, 2017. ABC Radio National, Remembering John Cade, The Australian Doctor Who Tamed Bipolar Disorder. Nicola Harrison, September 9, 2016. ABC News, Fall Of Singapore Anniversary: How A Military Defeat Changed Australia. Michael Rowland, February 14, 2017. Australian War Memorial Encyclopedia, Changi. Psych Central, Spending Sprees In Bipolar Disorder. Jane Collingwood, last updated July 17, 2016. The New York Times, Patient Voices: Bipolar Disorder. Karen Barrow, March 21, 2017. Psychology Today, “Spirit Possession” And Mental Health. Graham C. L. Davey, December 31, 2014. PsychiatryOnline, John Cade And Lithium. Garry Walter, July 1, 1999. John Cade’s original scientific paper explaining the guinea pig trial is fully available for free. I found it at nih.gov, and I’ve backed up the PDF on this site for archival purposes. The Weekend Australian, Bipolar Disorder And Depression: John Cade And The Case For Lithium. Derek Parker, September 24, 2016. This quote is directly from Cade’s landmark medical publication referenced earlier. Medline Plus, Lithium Toxicity. Last reviewed October 13, 2015. Snopes, Origins Of The 7Up Soft Drink Name. David Mikkelson, April 28, 2014. Health & Drugs: Disease, Prescription, Medication, by Nicolae Sfetcuq.